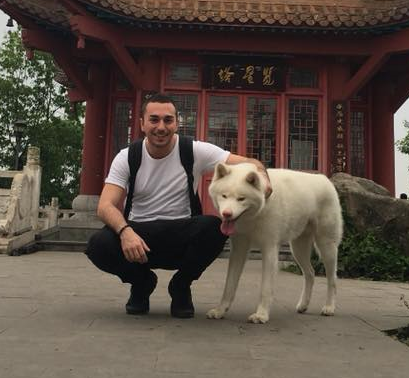 More and more foreigners realize their “Chinese dream” by moving to the Middle Kingdom whether for language purpose or professional opportunities. Indeed, China fascinates people from all over the world because of its rich and profound culture. Since China is becoming more and more open to the world, Chinese language programs and job opportunities for foreigners are increasing year after year. 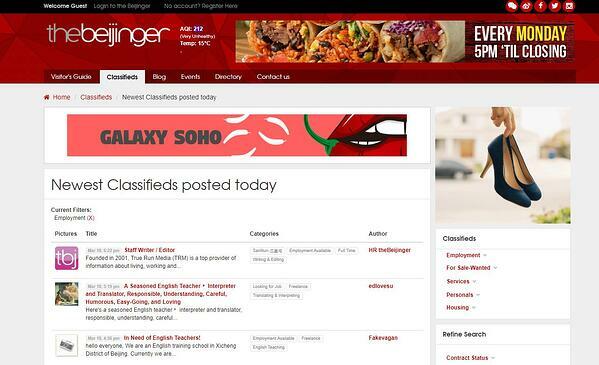 In this article, we will list for you the best websites to find a job in China. When Chinese people look for a job in China, they relate a lot to their relations (called 关系 Guānxì in Chinese). However, it is difficult to make relations when being outside of the country. Fortunately, there are a lot of resources on the Internet that will help you avoid this obstacle. 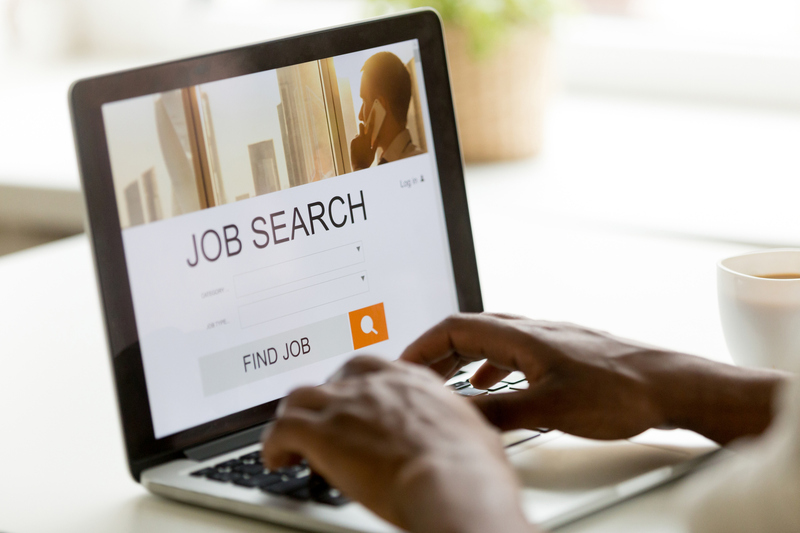 AsiaExpat is a comprehensive and easy-to-navigate website that offers a range of different job offers in East-Asian countries (including Mainland China, Taiwan, Hongkong and Macao). Accounting, finance, business development, engineering… everything is there. 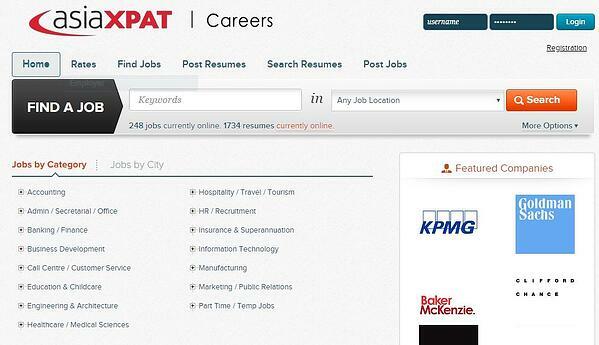 You can post your CV online and watch their latest job offers. Remember to register to apply for one of their job opportunity. 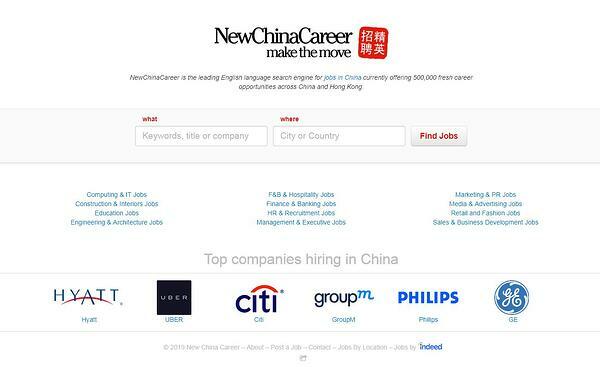 ChinaJob is the only headhunting site sponsored by a Chinese government organization. All of their employers are registered and have the qualification to hire foreigners, which can guarantee you safe visa procedures. A lot of job areas are covered but English-teaching jobs represent the majority of their offers. By registering as an employee on their website, you can directly message employers and send them your resume. This website is a goldmine of job offers. It is even better if you already master the Chinese language since some of their job offers are only written in Mandarin. Job opportunities are categorized according to industries, and you can also pick the city you want to work in. Note: An inconvenient important to highlight is that some of the job offers are for Chinese citizens only. The Beijinger is a wonderful blog about Beijing City. They talk about the different events in the city, produce a lot of blog articles and most importantly, offer pages and pages of job offers, although they are mostly English-teaching positions. If you aim an English-teaching position, The Beijinger is the perfect platform for you. Job Lead China provides headhunting services, focusing on foreign talent recruitment. It is their goal to help Chinese companies recruiting the right people quickly and efficiently. Then, if you are recommended, they will have to investigate in detail your professional experience, your job content, and the reasons why you left your last job. Then, it is important to provide a solid resume to convince the headhunters that you are the right choice for their clients. They propose a lot of job offers for foreigners that covers different industries. To apply for a job, you will need to create an employee account. Are there more resources to find a job in China? Yes! Don’t forget to look at China’s embassy of your own country, as well as the Chamber of Commerce of your native country in China. They have a lot of job opportunities and are reliable resources. In addition, if you are lucky to have Chinese or foreign friends based in China, ask them to add you to WeChat groups dedicated to job offers (make sure the company provides working visa procedures). The procedures for the working visa in Taiwan is different from those in mainland China. Taiwan offers a lot of job opportunities for foreigners, though most of them are English-teaching positions. Finding a job in China can be hard work, but with perseverance, it is possible to find one that is suitable for you. Whenever you look for a job, make sure the company provides legal documents and helps you with the visa procedures. If you have any doubts, don’t hesitate to contact the China’s embassy of your country. If you dream about working in China but want first to learn Mandarin Chinese effectively, join our TutorMing community and take Chinese courses online with certified teachers.